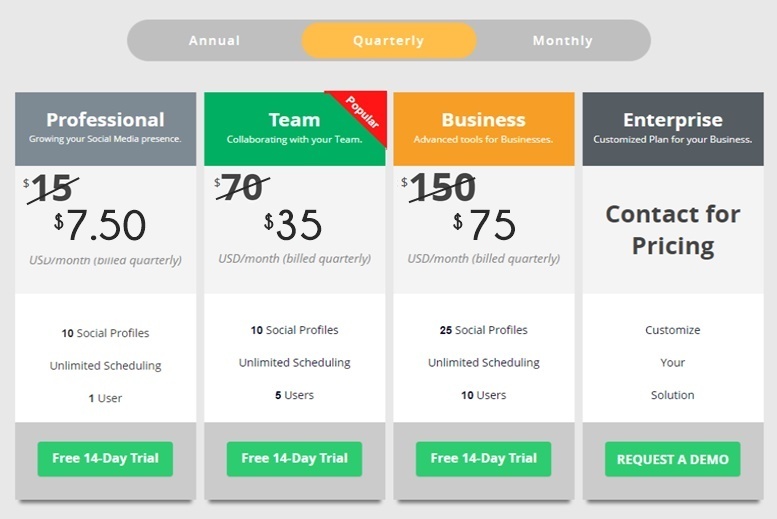 You haven’t tried the social media scheduling and management tool Socialdraft yet? This is your chance because the Black Friday Socialdraft Discount is here!!! 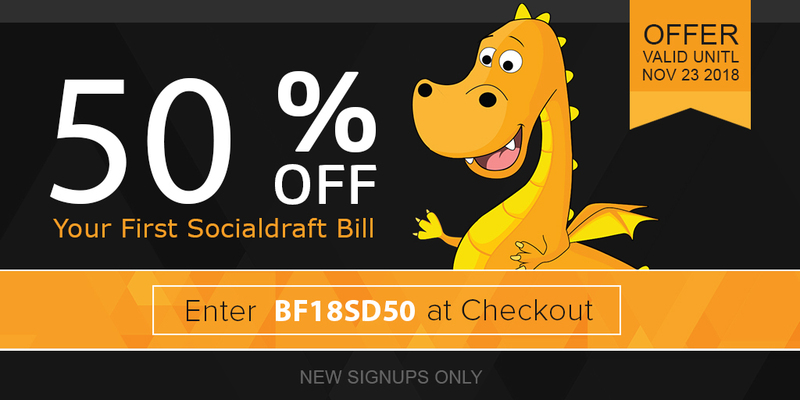 Sign up any day starting 11-16-18 before 11:59 pm on Black Friday 2018 and get 50% off your first bill with us using the Socialdraft discount code below on all types of plans. **This offer is for new Socialdraft users only. This chart will show you an “apples to apples” comparison of what pricing would be monthly for each plan. Please note that annual and quarterly accounts are charged on either a one-time annual basis or recurring quarterly basis. This is the perfect plan if you like to have more control over your memberships. You pay monthly and can cancel at any time. It’s the perfect way to take the Socialdraft social media tool for a spin. Quarterly plans get you a juicy discount by paying for your membership quarterly. 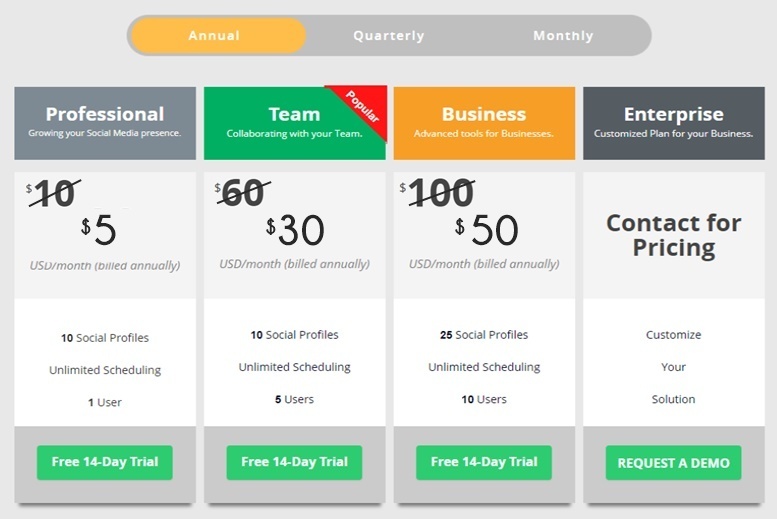 You can cancel each quarter and you get a gorgeous discount over monthly plans. 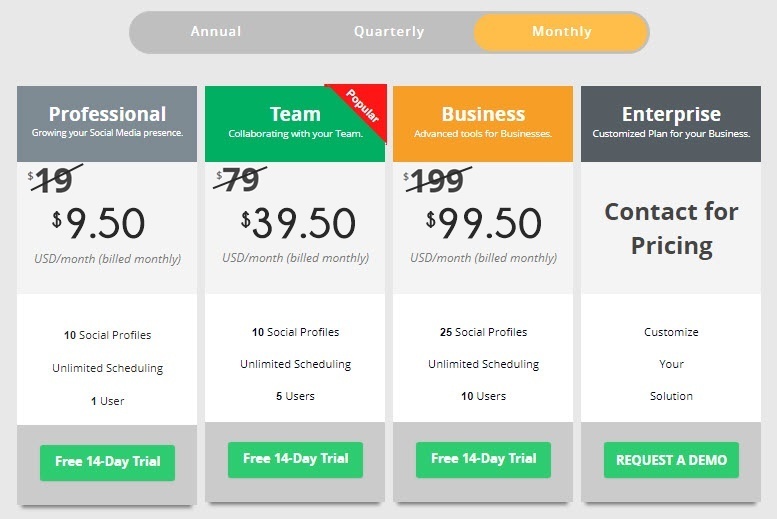 The Socialdraft Yearly plan is perfect for those with established social media businesses who want to save yearly on their social media management tool. With the Socialdraft Black Friday Social Media Tool Discount, you get 50% off on top of our already discounted prices! Have questions about Socialdraft? Open up a chat and ask us!! !